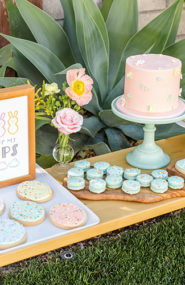 For all you new moms, or moms-to-be, add these to your wish list! And for those of you shopping for the moms in your life, we’re here to help! 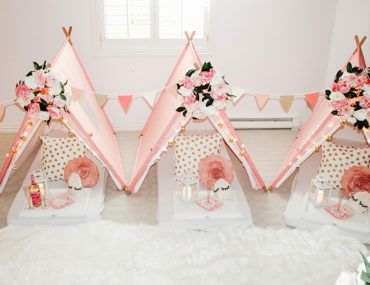 The products are the cutesy things they both need and want! 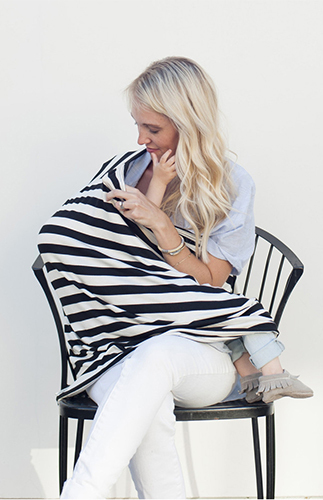 We gathered some of our favorite items for littles and moms dressing littles :). 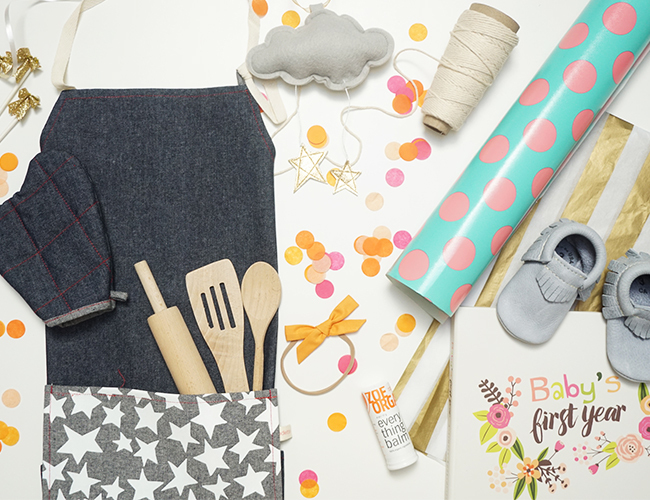 This little kitchen set, complete with an apron, oven mitt, and wooden tools, is the cutest thing for the bun in the oven! 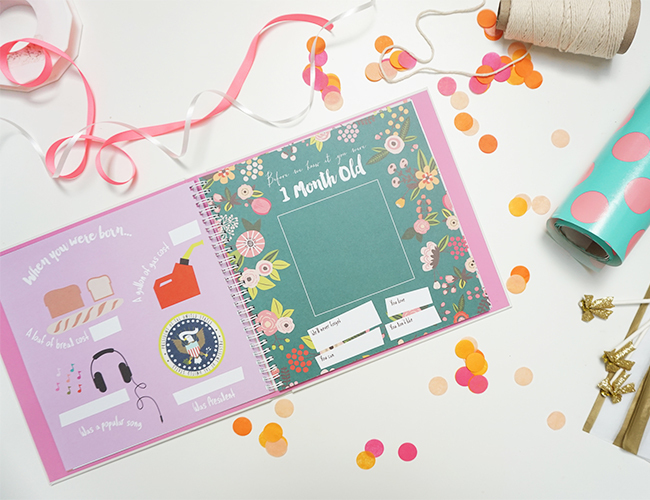 This Baby’s First Year book is essential for the mom wanting to document her babe’s firsts in an adorable way. The book already has places for pictures, slots for dates, and lots of fun clip art to make it something they will love looking at as they grow older too. 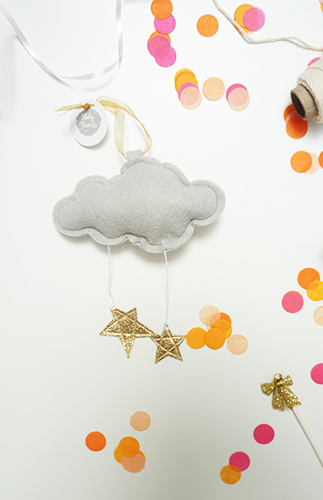 This adorable cloud ornament is perfect for baby’s first Christmas, or to hang in their nursery! Zoe Organics products are a must! They are not only made of natural, safe ingredients, but they smell amazing too. 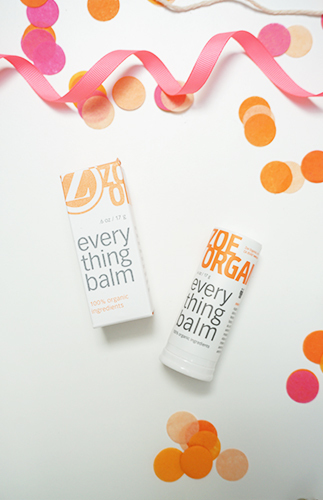 The everything balm is perfect for – well, everything. You’re probably familiar with these adorable baby moccasins and they made our list for good reason. With ever changing patterns and fabrics, Freshly Picked stocks the cutest baby shoes around! Yes, the babies may need a few months to grow into them, but mom will love this gift. Every nursing mom needs at least one Covered Goods. Not only are they perfect for nursing in public, but they can also serve as a scarf, car seat cover, and grocery cart seat. 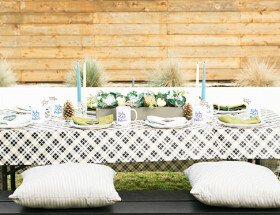 Plus they come in every neutral color you can imagine and pretty patterns too. 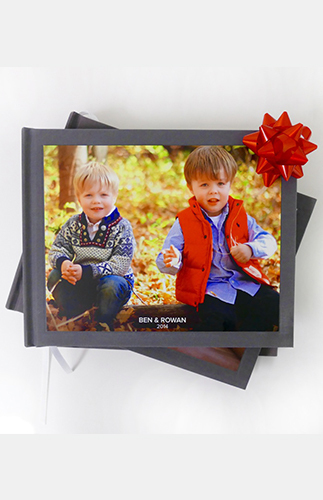 Gift a new mom the gift that keeps on giving with a Tweed Wolf photo album. No new mom has the time to create her own album of all those pictures she captures in those first precious months, which is when Tweed Wolf comes in and does it for them. 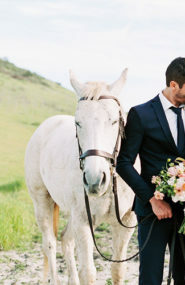 They layout mom’s very own photos into a perfectly curated custom album. This idea is genius. Goodness knows, teething is the bee’s knees for babies and their moms trying to comfort them. The Munch Mitt is the perfect gift to sooth the process. It’s crunchy fabric occupies and soothes a baby’s gums when they’re teething. 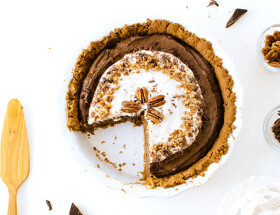 So if you’re looking for a practical way to make a new mom’s day, this is it. Love the freshly picked shoes! The shoes are too perfect! The little cooking outfit is Adorbs! Every mom needs a baby’s first year book – that one is too cute! Loving the mini kitchen set! So cute! Definitely getting my friend those moccasins!